Despite what you've heard, the world's best triple stacker is NOT a hamburger. But if parking is your business, this will get you drooling. 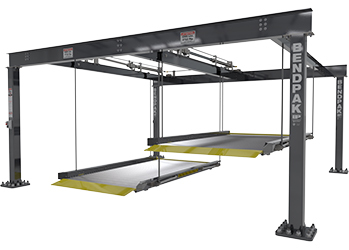 The PL-14000 by BendPak is a 4-post parking lift designed for both indoor or outdoor lifting and parking operations. 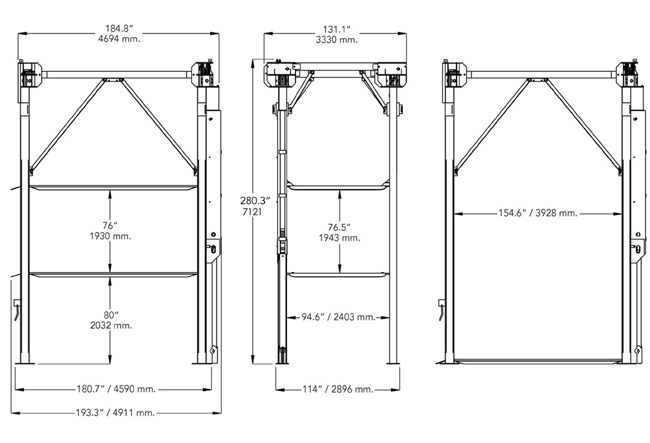 The PL-14000 parking lift is engineered to be the most cost effective way to triple the capacity of a typical parking area. With is triple stacker design, the PL-14000 is the ultimate space saver allowing three vehicles to be stacked in a single parking space. 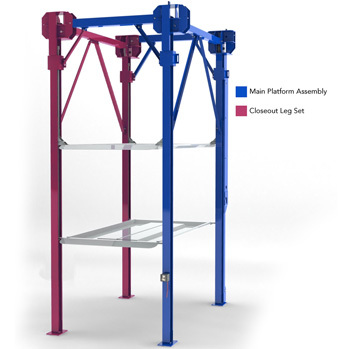 Shared, ganged columns increase value by reducing the number of components required for multi-unit installations. 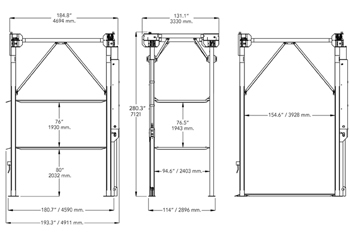 Each triple stacker parking lift uses a specially designed base frame that distributes the load making these unique lifting systems suitable for installation on virtually any residential or commercial concrete floor. k. All electrical components are guaranteed for one year against defects in workmanship and/or materials when the lift is installed and used according to specifications. a. Provide dated proof of purchase and maintenance records b. In some cases, components may be required to be shipped to the nearest BendPak Authorized Service Center. Freight costs, after 12‐months, must be borne by the Purchaser. 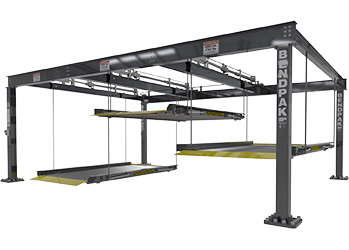 **For all BendPak brand Commercial Parking Lift or Vehicle Stacker (excluding specialty lifts, material handling, or models for particular purpose) manufactured on or following 7/27/2012.